The Table below will be updated after each round of the 4th DSRL RC is completed. Event Positions and Points are covered, along with Power stage points, Penalty points and Season standings/ points. Stage 1 opens at 1.00 AM GMT on Friday with Drivers expected to have completed the event by Midnight (GMT) the following Thursday. Please add your MID/ Post event commentaries below. AND REMEMBER TO POST YOUR POWER STAGE CLIPS IN THE XBOX CLUB! NO CLIPS = NO POINTERINOS! Best of Luck to you all, be swift, be safe, be heroes! 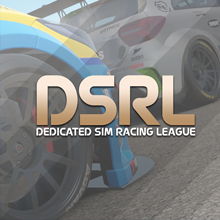 Round 1 of DSRL RC: S4, Rally Monte Carlo is now underway!! Good luck season 4 drivers! I`ll keep this report short, just like my rally. I love Monte but she don`t love me, it`s an event I find hard to finish and this time was no exception. The Subaru performed well, certainly better than the driver - Stage 1 was tough, but Stage 2 was tougher, I was caught out on a very icy right hander and couldn`t scrub off any speed whatever I tried. Too late, the Subaru was down the banking and it was rally over. It was fun while it lasted though. Point 2. Gutted to hear Monte has bitten hard already. The old Group N, sorry, R4 cars are heavy old buggers. Hats off though for getting out the blocks early and giving it some! Had my first little practice tonight. Bit if a scare to start with as the game didn't load but thankfully all good on the second attempt. Really struggle to get used to get handbrake turns and find then a bit awkward with just an on / off button to activate so definitely need lots of work on that. Best practice time was around 20 second off Nics leader board time for stage 1 so I'm some way off the pace but it was a lot of fun. I'll probably give it the run proper tomorrow. Excellent news. For the record us mere mortals don’t compare ourselves to Toasts times.... I’m currently p3 overall and he thumped me by 2 and a half minutes!!!! This is proving to be a BRUTAL rally, with 8 DNFs total so far! 2 victims out on stage 2 and 6 (yes, six) dnfs in stage 6 ALONE. Stage 2 was looking ok(ish) but again right at the final knocking's I lost a stack of time again (I think another hairpin) but the car was still in one piece so that was a bonus lol. I did check for repairs but was confused how to actually make then so no idea whether I did or not as there didn't appear to be a button to press to confirm the repairs. Continued on through stages 3 and 4 holding down a very solid last place after each lol and also picking up a fair bit of damage with some clumsy driving. The Power Stage 5 was short and sweet but real fun. I thought I was doing ok within my own limitations until at the halfway point I thought it was a fast left but it wasa tighter one so went headfirst into the wall and had to reverse back before getting back under way I didn't grab any clip (I was Twitching anyway so the Xbox game clip facility is disabled) but no biggie as I had no chance of making the points paying positions anyway but was happy enough with the stage. Really wanted to finish my first rally but overall can't be too disappointed especially as I had so much fun. I really wish that there was a training area of the game where you could practice things like the handbrake turns, etc. I played a demo of Sebsastien Loeb Rally last year and that had just such a section of the game which was really helpful. Swinging this heavy car around the icey left/rights and hairpins is pretty fun. Just under 3 hours left to get your rally completed, or, if your name is Wilbur, GET IT STARTED!!!! nice to hear you enjoyed it Pete! Its a shame you DNF'd on your debut but don't sweat it as this has been the most lethal rally in DSRL RC history with 10 drivers crashing out by the end! for the repairs, when you go into the repair section of the service area, you can press Y I think to show the recommended repairs and then RB or shift up should match those recommendations, it should show the repair progress as blue and the time in the top left go to just below 30 mins. that is the quick way, otherwise you can go through each damage tab individually and add small repair increments until the timer in the top left gets right near 30 minutes. You want to get as close to that without going over it as it gives you a penalty. If you do the crew recommendations it will always put you as close to the 30 min if needed and will fix the most crucial stuff on the car. You can practice stages and locations in the custom event section from the main menu I believe under the career tab, it gives you access to any car fully upgraded and any stage if you need to train for an event! My WORD that was some event, S4, R1 DSRL RC just etched itself in the community History Books. Firstly well done to everyone who survived till the last checkpoint. Dont look at the clock, just look at your car NOT having to be craned up off a cliff face. But to those of you who did set stunning times again congrats, giving us all something to aim for in Finland! Thanks to everyone who submitted their Power stage times, wrote rally reports and really got in to the spirit of things. And a special mention for Hammergph who took 2 man pills and a nip of something sweet and ploughed in to his first DSRL RC event, then ploughed back out again.... Better luck next time duder. Also noteable was Fsarkis, who registered and got rallying with less than 2 hours on the clock. Glad you could join us again duder! Finland is now open for flying lessons... Chocks away chaps, Tally ho!!! Wow, what an event, what a challenge. I love Finland ! A mixed event for me, plenty of visits into the scenery, 4 punctures and 2 rolls. I mainly just kept it flat out and hoped for the best, when that works the stage just flows, left into right into crest into jump. It`s beautiful. When it goes wrong though, you pay the price but I also got away with some scary moments. My worst stage I collected a puncture just after the start, the only option was to change. No matter as I collected 2 more punctures straight away and had to push on, lost loads of time. Good luck to all the other crews this week. Hold tight - it`s fast and frantic out there! I'll be giving this one my attention early next week as I have other irons in the first for this weekend and also need to work on my rallying technique (or lack of lol). Really Pleased you chose to join us again buddy! Kudos for throwing yourself in at the deep end yesterday! Last minute entries are always exciting!!! Right Folks! Round 1, Monte Carlo, results are in and adjudicated! PLease see the standings in post 1 to see how well you fared! Congratulations once again to all finishers! Please take time to enjoy all the power stage submissions in the xbox club.... Every day is a school day! Please continue add your MID/ Post event commentaries below. Tales of heroism and woe keep the blood pumping! AND REMEMBER TO POST YOUR POWER STAGE CLIPS IN THE XBOX CLUB! NO CLIPS = NO PISTETTA! Best of Luck to you all, be swift, be safe, don't be Bananaman! Pleasantly surprised to get my first rally win in Monte since Season 1! It wasn't the smoothest go, with a few full spins in the snowy conditions getting me on edge. It certainly looks like everyone ran into some form of trouble in that crazy rally though, definitely a thrilling way to start the season up. I stopped it there to record the power stage through xb1 dvr. Things went downhill from the almost clean power stage though and my rally turned into damage limitation for the final leg. I'm hoping my decent pace in the first few stages is enough to stay out front but I lost large chunks of time in stages 6 & 7 taking heavy radiator/engine damage, so I expect it probably won't stand. Finland was almost as bad as Monte Carlo for me. At least I finished, that’s all I’m saying right now as bit annoyed with my ability to control this car. In all honesty not enjoying as much as the less powerful and more forgiving cars we drove in season 3. Need to find some motivation to continue in this season unfortunately. Not normally a quitter but this game is a love hate relationship with me.